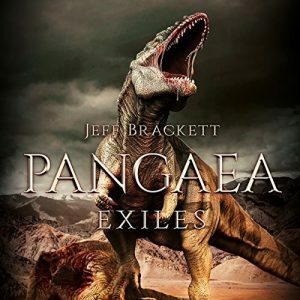 Remember back in January when I mentioned that Severed Press had contacted me to say that Pangaea: Exiles was going to be released as an audiobook on Audible in a few months? Well, I emailed them to check status on it a few days ago. After emailing them, I figured I might as well go check on Audible to see if maybe it had already come out and they just hadn’t let me know. Guess what? It was released two weeks ago (March 28). 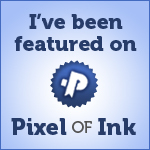 I haven’t heard it yet myself, but if you’d like to check it out, you can find it here. Oh! remember the picture I posted of the Stenonychosaurus in WW106? It was the critter I was writing about in the anthology story for Severed. Well, come to find out, the Stenonychosaurus ceased to exist as of 1987. Turns out that some paleontologists figured out that the bones they were using to identify good old Steggy were actually the bones of juvenile Troodons. So yeah, more rewrites. But it’s finished. Both story and contract are off to Severed. Watch for the upcoming anthology “Prehistoric“. It will still be a few months, I’m sure. The deadline isn’t until the end of April, and I’m sure there will be some back and forth with the editor. But for my part, most of the work is done. You know what’s so strange on this one? I think the thing that gave me the most anguish was trying to find a title that fit the story. I never really found one that gave me that “aha!” moment. There was no clever, cutesy, tie-in to some word or phrase or theme in the story. But I was spending WAY too much time trying to find something that, in my mind at least, pulled the whole thing together. In the end, I simply picked “Apex“, the best of several unsatisfying titles I had come up with, and decided that it was time to cut it loose. There is a saying among artists of any sort. “Art is never completed, only abandoned.” If you aren’t familiar with it, it simply means that artists (whether it be painters, singers, writers, or any other type of artist) will often spend WAY too much time polishing their latest work, trying to make it “perfect”. For a writer, it may be changing a scene here or there… or simply switching a few words in order to alter the mood or connotation. And it’s something that is probably needed on the first draft or two. We tend to obsess over tiny details, polishing and polishing, until we’re really doing little more than wasting time. But eventually we have to let it go. We have to abandon the work… release it into the wild, so to speak. And that’s what I’ve done. If I don’t, I’ll never get the next project done. So I’m back on Payne and Suffering, and the numbers there should start climbing again significantly. And that’s it for now. Stay safe. LOL. Thanks. Let’s hope it moves quickly now.